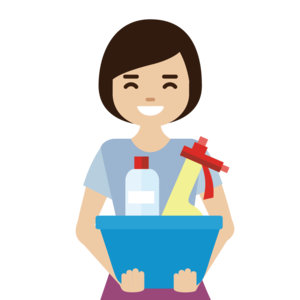 Looking for cleaning solutions for your home? Then book Soo Kiang who will provide you with mopping, sweeping, window cleaning services and more! She serves a variety of household including HDB, condominiums and landed property homes. She's v thorough and good job done! She's good to check in with you on how you want the cleaning to be done, and has done a great job overall, though I'll appreciate if she can take more initiative to pay more attention to the small nooks n corners.